Safiyyah Syeed from Bradford, is an 18-year-old breaking stereotype with her love for boxing. 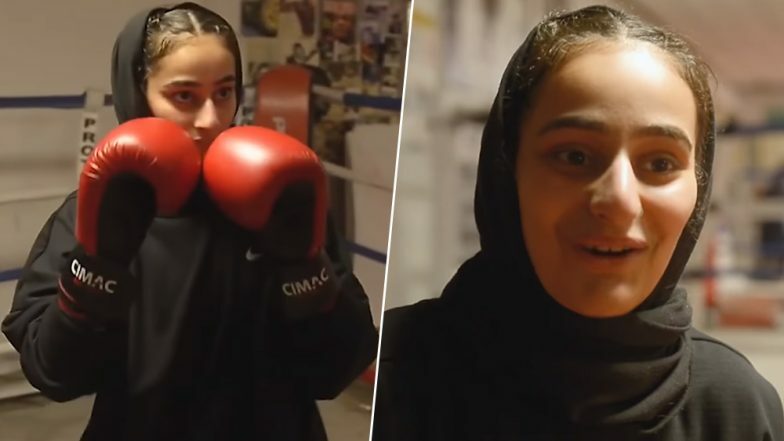 She will be taking part in a national boxing championship, all while she dons a hijab. After the International Boxing Association lifted a ban on hijabs and other full-body uniforms that people wear for religious reasons, Safiyyah Syeed was even more passionate about her love for the sport. She started boxing a year ago while she was already suffering from a mental health illness from anorexia and bulimia. With her entering the boxing ring, she will be the first amateur fighter as she will sport the traditional headscarf with long-sleeved top and leggings. While she was ill between the age of 16 and 17, she was mostly bedridden. As a way to tackle ill health, she enrolled herself in a leadership program at the university. She would also train twice a day at the boxing academy in Bradford. She was quoted to a news report, "Boxing keeps me sane and keeps me happy, I absolutely love it. I started just for fun but I've really fallen in love with the sport." At first, she did have the thought about going to practice in the hijab but people were really supportive. 10-Year-Old Girl With 25 Middle Names of Boxing Champs Is Having Difficulty Memorising It. Her hijab does not even affect her boxing moves at all. She mentioned that once in the ring, she even forgets that she is wearing a hijab. She fights with the boys as well and there is no going easy on her just because she is a girl. Her boxing has helped her get through the illness. Talking about fighting the mental illness that came with it, she said, "I want to show people that mental health problems don’t have to hold you back. If you put your mind to it you can do anything." World Hijab Day 2019: Stunning Pictures of Women That Prove The Veil Can Be Beautiful and Empowering. There were restrictions about wearing a hijab during boxing and it had been an ongoing issue in the boxing field. Several Muslim women were affected by the decision. Now Syeed has her eyes on the Olympic Games. She is still at her amateur fights but has her hopes high.